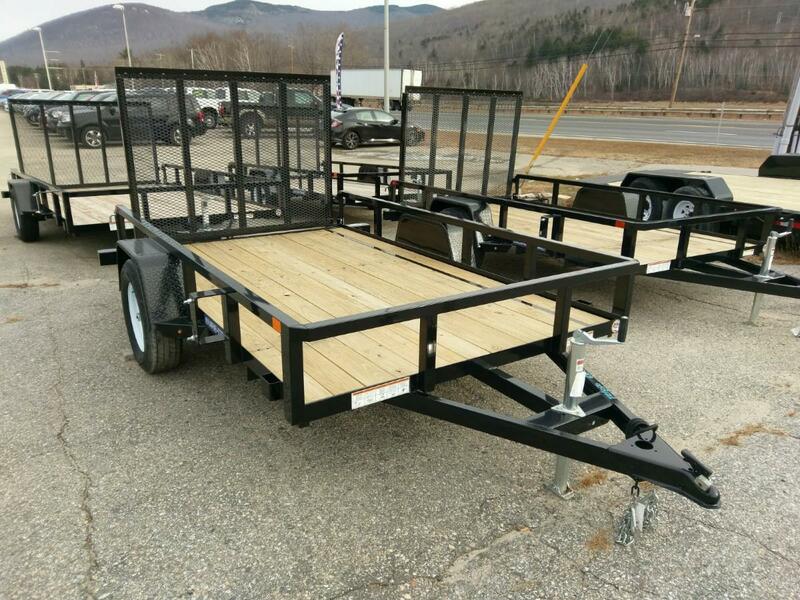 Rear ramp utility trailer. Powder coated, spring assist rear ramp with quick remove or fold flat mount. All LED lighting. 5/4 pressure treated decking. 15' tires with bearing buddies.